December Interview: Dr. Steven Groves on… Pets and Holiday Decorations – Preparations and Precautions! In our December interview, doctor of veterinary medicine, Steven Groves, talks about Pets and Holiday Decorations – Preparations and Precautions! Q: When the December holidays roll around, we are reminded about how to keep pets safe and the decorations secure. Would you say that a Christmas tree or candles are more of a safety hazard for pets? A: When it comes to Pets and Holiday Decorations, Christmas trees, candles, decorations, food and holiday parties all pose risky temptations for pets. Planning ahead, knowing what risks each festive activity poses and how to handle an emergency is important. Quick action can save a pets life. Q: Tree water contains chemicals to make the tree last longer, won’t pets want to drink this? What to do? A: Water additives for Christmas trees can be hazardous to your pets. Do not add aspirin, sugar, or anything to the water for your tree if you have pets in the house. If pets drink water containing chemicals, contact your veterinarian immediately. Q: What is your best advice for keeping a tree upright and safe from curious pets? A: Christmas trees can tip over if pets climb on them or try to play with the lights and ornaments. Consider tying your tree to the ceiling or a doorframe using fishing line to secure it. Q: What about candles? What is the best way to enjoy them but keep the flame from a curious animal? A: Never leave a pet alone in an area with a lit candle; it could result in a fire or the pet getting burned. In addition, Christmas lights can cause burns when a curious pet chews the cords. Q: It is typical to put out some chocolate or other people treats when having friends and family over during this time, and we know dogs are food beggars. Advice on how to educate guests about this? A: Put your pets in a safe area away from the food and the guests while food is being served. Keep people food away from pets by clearing food from your table and counters when you are done using them and make sure the trash gets put where your pet can’t reach it. Immediately dispose of carcasses and bones and anything used to wrap or tie the meat, such as strings, bags, and packaging. Place trash in a covered, tightly secured bag placed in a closed container outdoors (or behind a closed, locked door). Remind your guests not to feed the animals people food as a safety precaution for the pets. If you want to share holiday treats with your pets, make or buy treats formulated just for them. Some of the people food especially hazardous to pets include chocolate, turkey, onions, raisins, grapes, yeast dough and chewing gum. Q: What about when guests bring their animals to a party to add to the fun? A: If guests want to bring their own pets and you don’t know how the pets will get along, you should either politely decline to have a guest bring a pet or plan to spend some time acclimating the pets to each other, supervising their interactions and watching for potential problems. Q: Poinsettia plants add beautiful color to the home décor. Are they dangerous to pets? A: Emergencies can occur if pets get a hold of flowers or festive plants. Amaryllis, poinsettias, mistletoe, balsam, pine, cedar, and holly are among the common holiday plants that can be dangerous and even poisonous to pets who decide to eat them. Q: What about opening gifts, what dangers lurk for pets while the gifts are being opened and the wrappings tossed about? A: Holiday decorations and decorative items from gifts can be tempting for pets to play with and eat. Consuming them can cause intestinal blockages, sometimes requiring surgery. Q: What are the best options for someone who is traveling for the holidays but cannot bring their pet with them? A: Boarding facilities can be an excellent option as many of them have swimming pools, playgrounds, and indoor activities. In addition to boarding facilities, there are services who offer in-home pet sitting. Before making your selection it is suggested that you tour the potential facility or interview the potential pet sitter and ask for references. Plan ahead as many of these options book-up well in advance of the holidays. Before placing your pet in a boarding environment where there will be multiple pets, talk with your veterinarian to find out how best to protect your pet from canine flu and other contagious diseases. Q. While we are talking about gifts, the holidays seem to be the time that puppies and kittens are given as gifts. Guidance about considering giving an animal as a gift? A: Giving a pet as a gift is usually not encouraged. Often, giving a pet as a gift on a holiday is a novelty that, when the excitement wears off, leads to neglect or abandonment. This is often the case with bunnies given as a gift on Easter. Some people don’t want a pet at all, or perhaps don’t want one now. For those who are ready, they should pick the pet out for themselves to ensure it is a good fit. A successful pet adoption or purchase requires time and thought. Q: In conclusion, what other words of wisdom do you have on the topic of Pets and Holiday Decorations for new and experienced pet owners? A: Make sure you know how to get to your emergency veterinary clinic before there’s an emergency. Talk with your veterinarian in advance to find out where you would need to take your pet, and plan your travel route so you’re not trying to find your way when stressed. Always keep these numbers posted in an easy-to-find location in case of emergencies: Your veterinarian’s clinic phone number, the local emergency clinic phone number and ASPCA Poison Control Hotline: 1-888-426-4435 (A fee may apply). 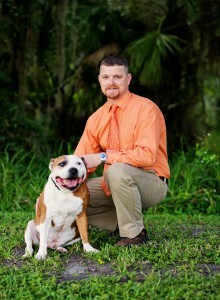 Steven Groves, DVM, is the owner of Groves Veterinary Clinic in Port Charlotte, FL. He is a graduate of the University of Florida School of Veterinary Medicine. Their compassionate, knowledgeable and professional staff is committed to providing comprehensive, quality health care to companion animals while building lifelong relationships with their clients and patients. He can be reached at www.grovesvetclinic.com. In October’s interview, Erin Wozniak discusses a brief history of recruiting in the digital age. Q: The Internet has changed everything, and one thing it changed is how employers advertise job openings. Briefly, describe your role in your company before the Internet became the driving force for recruitment advertisement. A: I started my career in the 1990s before the Internet changed everything for employers. My role as an account representative was to strategize with employers on how best to advertise and promote their job openings. Given all the change and time since then, strategizing with clients actually remains the core of agency representatives’ roles today. The strategy itself, its activation, and what and how success is measured … these are what have transformed. Q: Just for clarity, what is a common definition of recruitment advertising? A: Most simply, recruitment advertising refers to the communications used by employers to attract talent—so says Wikipedia, thus it must be true! Talent acquisition professionals understand the practice to be much more complex. Employer branding, multichannel media strategy, candidate experience, and retention strategies internally all play a role. Q: What are the agency media choices/delivery methods/services now that are offered to employers in this digital age? A: Digital media choices to consider include pay-for-performance (PPA, PPC and, speculatively, PPH is almost here), social media, earned media (PR), content marketing, targeted display, and mobile marketing channels. Ad delivery and related campaign management services will vary by agency and likely include a mix of programmatic job distribution, tracking, integration support, and reporting for proper measurement and analytics. Q: Is using an agency an option for big employers as well as small firms? A: Agencies with custom solutions are likely an option for most employers to consider—large enterprises and SMBs alike. There are many ways employers work with agencies and depending on their preference may operate under general MSAs, retainer agreements, or fixed-bid projects with individual SOWs. Q: Healthcare is a major client of recruitment agencies. What other industries are major clients? A: Retail, hospitality, manufacturing, transportation, pharmaceutical and any industry with tech talent needs are the verticals currently encountering the toughest hiring challenges and, therefore, relying on agency support as a result. Q: What should job hunters know about how an agency assists an employer? A: Job hunters will always interact directly with the employer. We collaborate with our clients upstream to connect with the talent they seek. We work to support the goals of the employer. Q: What about marketing and branding; why is it important for an agency to be consistent with the company brand with regards to the creative design and ad placements? A: Employer brands and all related creative expressions and executions are extensions of the company brand. As such, consistency, alignment and—most important—authenticity are crucial. A disconnect can not only result in the misrepresentation of the company to the candidate, but also to existing employees, key stakeholders, and others. Q: As a specialist partner to the company recruiter/human resources director, how is the value of using an agency explained to the CFO of the company? A: The value an agency brings to an employer can be seen in both time and money. Taking on the attraction part of the funnel allows recruiters more time to close candidates and fill jobs. Filling jobs cost-effectively and efficiently is of value for CFOs understand. Q: Tell me more about the reports—the metrics—an agency provides to the employer on the outcomes of various ads and campaigns? A: Agencies provide media performance reports and source-tracking metrics that give employers visibility and analytics on what channels are driving traffic, converting applicants and driving hires. These reports also provide detail at the job level that gives insight into job category and location/market trends. Q: Can you give me an example of a successful company recruitment advertising program? A: I cannot point to one, but every employer and every campaign will have a different definition of success based on the hiring need, strategy, budget, market factors and a host of varying KPIs. Those that drive the highest applicant-to-hire conversion at the lowest cost per hire set the standards for best practice. Q: Are there rules of thumb for how long an ad campaign should run? A: The specific goals and objectives of each campaign will drive strategy on duration and frequency. High-volume, ever-green hiring needs will likely have longer-term durations (even at the annual level), whereas focused efforts for a single tough-to-fill position may be hyper-focused over shorter durations, maybe 3 months, for example. Q: Are there any U.S. laws that pertain to recruitment advertising? A: Any compliance factors that apply to direct employers, such as employment anti-discrimination laws, either due to U.S. government contractor status, industry regulations or an organization’s own governance are all treated as the law by representative agencies as a matter of standard practice. Q: In conclusion, what other words of wisdom do you have on this important function which falls under the employment, a/k/a talent acquisition, area of human resources? A: For agencies, employers and candidates collectively, the importance of knowledge, data, and transparency will continue to increase and disrupt. The ability to be not only open to it but also comfortable with it will be crucial. 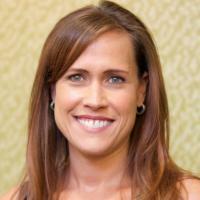 Erin Wozniak is vice president of sales and accounts at Shaker Recruitment Marketing. She has more than 20 years of experience in account management, team leadership, and digital strategy. Erin can be reached at erin.wozniak@shaker.com. Q: When you say skills or specific tasks, what do you mean? A: Tasks are the specific outcome of actions you take to complete a component of your job function (ex – move a 50 lb box from table A to a skid 10 ft away). Skills are the physical and mental things you have that allow you to implement the knowledge you have (ex – physical ability to lift a 50 lb box safely, memory of where the box is and where it needs to go). Q: In the Malcolm Gladwell book, Outliers: The Story of Success, he says “Achievement is talent plus preparation”. What are your thoughts on this? A: I can’t think of a single thing that doesn’t work (or at least feel) better when we’ve prepared for it. Starting with talent (innate skills and a passion for the task) makes it all the easier. I do believe we can learn and do tasks, with accuracy, that we don’t have a passion for and that aren’t an innate skill as long as we have the pre-requisites for that skill (ex. – you can learn a safe lifting technique to lift a 50 lb box, but if you don’t have the core and leg strength to lift 50 lbs you’ll not be able to execute the technique). But, it will likely take longer to learn. Worth it to take the extra time? – in every job, there are tasks that aren’t going to be in our innate skill set or that aren’t our passion. Assuming those tasks are crucial to the organizational success and have to be performed within that job, then learning them, even with difficulty, is important. Q: I have heard that it is better to focus on improving your strengths to the next level, rather than laboring to only work on your weaknesses. Is there truth to this? A: Marcus Buckingham’s outstanding work in this area (in his book, Now Discover Your Strengths) left me absolutely dumbstruck! Civilization has spent centuries trying to fix peoples weaknesses and we’d gotten it all wrong! In most cases when you help someone make their strength even better the weakness is covered up/no longer matters, or even goes away. Buckingham’s example was Tiger Woods. In the early years, his golf strength was his drive and his weakness was his inability to stay out of sand traps. His coach was a strengths improver and had him work his drive for hours and hours and hours each day. His great drive got so much better that he didn’t get in sand traps. This changed our whole way of looking at an employee’s poor performance on one task! And it changed the employee’s abilities to safely, competently and with confidence complete the specific tasks of their job. Q: What is the first step to Helping Staff Learn Specific Tasks of their Job, Quickly and with Accuracy? A: Either create the learning for the person the way they described the last successful learning OR get information on how to do what they asked OR if you want to help them become multiply intelligent (see Gardner below) use some of their most comfortable style and a bit of another style to help them stretch their learning ability. Then implement the learning. And be sure to let the person know what the measurement and assessment of successful learning is so they know what they’re working toward. Q: Are there speed bumps to be aware of? Such as lack of support from supervisors or jealousy from co-workers? A: Lack of support from supervisors for the learning process is the biggest deterrent to an employee’s learning. Either they are the person helping their staff person learn and they don’t know how to do it OR someone else is helping (e-learning, book or in-person training) the person learn and the supervisor doesn’t want the person in a non-productive state for the learning time or the supervisor doesn’t know how to provide on-the-job reinforcement of what the person learned (be sure the person needs to perform the task soon after learning how, feedback if not doing it well or if doing it well, ongoing skill/knowledge enhancement). Both states require training for the supervisor – a manual, someone to model the best way – and culture change – inclusion of the task on their job description and their performance appraisal. Q: Where is mentoring in this process? A: The word mentoring is used to mean so many different things that it’s better to talk about the process of helping someone learn than to use the word mentoring. Let’s talk about the benefit of having a person you can go to to get answers/ideas/see them modeling the behavior you achieve. Notice the active role you’d have to play as the learner with this person who’s helping you learn – you’d have to ask questions (to get answers); you’d have to tell situations that are occurring (in order to get ideas); you’d have to watch and likely ask questions and likely try some things (in order to see them modeling the behavior). Assuming such a person exists for a task or whole job function, where this fits in the process is – in the center. It is by far the quickest and most accurate way for anyone to learn, no matter their learning style (it’s learner-directed so by definition will be in a way that’s easy for the person to learn). Q: Gardner’s theory of multiple intelligences initially listed seven intelligences which work together: linguistic, logical-mathematical, musical, bodily-kinesthetic, spatial, interpersonal and intrapersonal; he later added an eighth, naturalist. Talk about Gardner’s theories and how they connect the dots for this topic. A: How Gardner’s Multiple Intelligences connects the dots for this topic – helping a person learn in their most comfortable way (their learning style) does make the process of learning faster and it may also make the retention and ability to implement the task better. However, as Gardner’s whole premise states, learning to learn when it’s coming at you in a style that’s not your most comfortable way improves your ability to be productive (doesn’t matter if the person helping you learn is opposed to using your most comfortable way to learn – you can learn anyway; building the competency to learn in multiple ways translates to all communication coming at you – no matter how someone talks or writes to you, you can figure it out quickly). Q: What is the last step? Q: Is there a point in time that you know you have become an expert in your skill or should you recognize that there is always more to learn? #3 Marcus Buckingham’s research shows that we need to be always working on our strengths. #2 There are always more of Gardner’s Intelligences for us to work on to become better at learning new skills and enhancing our strong skills. #1 Which century do you live in? – The 21st and even the 20th century report the fastest change in the tools and techniques of getting almost any task done and therefore the need to learn the current most effective procedure to use those tools or techniques. Q: In conclusion, what are your final thoughts on this topic? A: This topic is one of my favorites due to my love of training. I saw companies having inadequate training programs and, thus, wasting money. I very much believe that with specific performance-oriented training and targeted HR programs, quality employees would be attracted to stay and grow with organizations. That is what I preach in my company and in working with our clients. Carolyn B. Thompson is the President of Training Systems, Inc., responsible for marketing, new client development, and helping organizations of all sizes determine ways they can best recruit, inspire, train and retain quality employees, and improve performance. 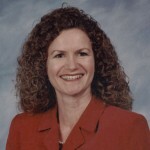 She is an author, facilitator, planner, consultant, and trainer; she can be reached at her company website, http://www.trainingsys.com/.